Professor Tine Pars has a diverse background in experimental biology, human nutrition, television and health promotion. Tine obtained her PhD in the Department of Greenland Research at the University of Copenhagen. 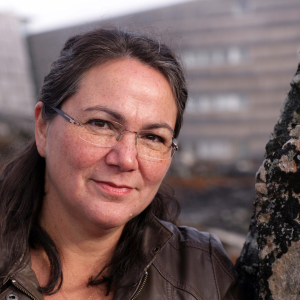 Her primary research focus is the consumption of traditional Greenland foods. She is the current Rektor of the University of Greenland. Apart from academia, Tine was a quality food manager, hosted a television show regarding environmental sustainability (we can check for accuracy! ), and campaign manager for the Department of Health Promotion. She also sits on a number of committees such as the Poul Brandt Fund, Transparency Greenland and Greenland’s Trades.